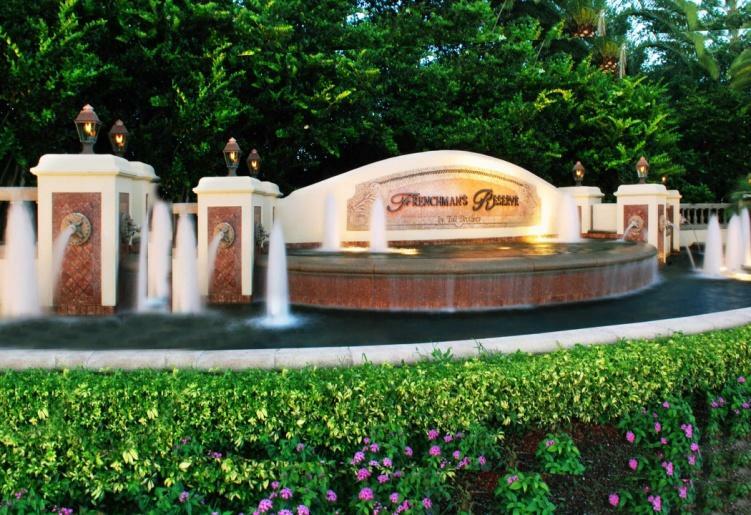 If you’re looking for tropical elegance, Frenchman’s Reserve in Palm Beach Gardens welcomes you. A prestigious and sophisticated golf course community, Frenchman's Reserve Country Club is among the best in the country. Here you can experience luxury in a relaxed and private country club atmosphere, while still enjoying nearby conveniences. Frenchman's Reserve's exclusive golf course community has been designed to feature customized home plans in many styles and pricing tiers, offering a variety of attractive membership opportunities. Frenchman’s reserve assortment of majestic home designs ranges from 3,400 to 6,990 square feet of luxurious living space where you can enjoy peaceful lake and/or golf views from almost every property. In addition to all of the amenities found within Frenchman’s Reserve, the surrounding area from Palm Beach to Jupiter Island is also rich with recreational attractions for the entire family. The Intracoastal Waterway and pristine beaches of the Atlantic Ocean are minutes away and provide a year-round haven for sunbathers, boaters, snorkelers and other water sports fans. For information about Florida real estate opportunities in Frenchman’s Reserve, contact a Tauber Real Estate specialist at 561-623-5480.